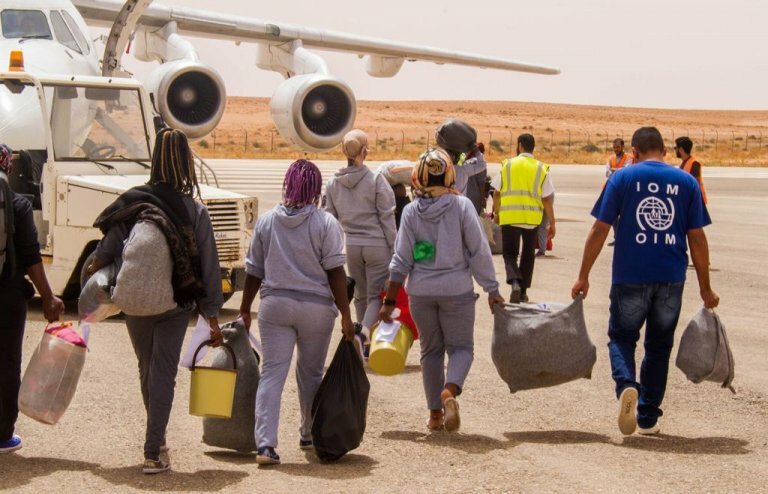 The International Organisation for Migration has announced that it has resumed voluntary return flights from Libya for migrants to their countries of origin. A direct flight to Ghana was the first migrant return flight from Libya, following this week's ceasefire agreement ending hostilities in southern Tripoli and surrounding areas, the UN migration agency IOM said in a statement. It said the reopening of Tripoli's Mitiga Airport permitted a commercial flight to Ghana, carrying 21 migrants. The migrants will be repatriated with the help of IOM's Voluntary Humanitarian Return (VHR) program. The program aims to provide a safe journey home for migrants who wish to return home but have little means to do so. Upon arrival, the returning migrants will receive reintegration assistance from the IOM to further aid them when returning to their community of origin. "We are relieved that this flight was able to leave Libya safely and we hope to charter more flights in the coming days and weeks to meet the increasing demand," said Ashraf Hassan, VHR Programme Coordinator at IOM Libya's mission. "We have observed a large number of people applying to return home through VHR. We are taking advantage of the current ceasefire and relative calm to assist them to exit to safety." IOM said other chartered flights are scheduled to leave Libya later this week. The charters had already been scheduled for departure; however, following the eruption of violence and clashes two weeks ago and the closing of the Mitiga airport, the flights had been postponed. "The recent clashes in and around Tripoli have endangered the lives of locked-up migrants, further aggravating their suffering and increasing their vulnerability," explained Othman Belbeisi, IOM Libya's Chief of Mission. "We continue to respond to existing and emerging humanitarian needs including increasing requests for voluntary humanitarian return, as our teams on the ground are directly registering these requests in detention centers and urban areas to expedite the safe return of people," he said.